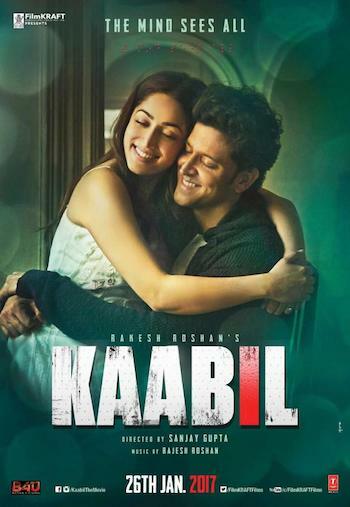 Kaabil translates as “worthy” and therein lies the biggest conundrum faced by the audience in trying to find even a scrap of anything remotely worthwhile in this deeply regressive and odious revenge tale, a stinking gutter that harks back to the cesspit that cinema sank into in the 1980s. Rohan Bhatnagar (Hrithik Roshan) is blind but considers his disability as merely a slight inconvenience. His confidence allows him to cook his own eggs, make his toast and tea and even ride a bike after fixing its chain. He probably dusts and cleans and changes his bed sheets, does the ironing and the household shopping as he lives on his own. We all know that the loss of a sense accentuates others and Rohan has an equine nose, with nostrils that hold him in good stead. Indeed, one of his ultimate victims loses his life on account of his smelly socks, such is the power of Rohan’s nostrils. 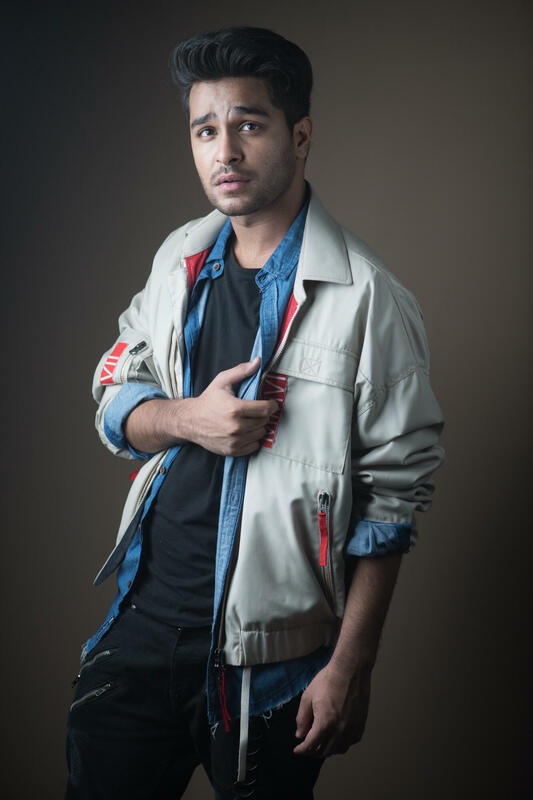 By profession, Rohan is a dubbing artist, which defies all logic as he cannot see what he is dubbing but we are told that he can masterfully do this simply by listening through headphones. The mind boggles! Set up on a “blind date” Rohan and Supriya (Yami Gautam) meet at a restaurant where Rohan falls hook line and sinker upon the utterance of two benign sentences by the incredibly vacuous Supriya whom moments into the meeting, Rohan addresses as Su!. For him, it’s supposedly “love at first sight”, the dialogue writer’s attempt at irony which simply makes your stomach churn. Rohan and Supriya then play “when Ro met Su”, and once Rohan has executed his obligatory dance moves, our glassy-eyed hero pops the question to the equally glassy–eyed Su. Having tied the proverbial knot and indulged in smutty talk on their respective love bites, Ro and Su appear to be coasting towards marital bliss. However, fate has other plans and having picked up a fight with the local bad boy (Rohit Roy), the vengeful badboy and his side kick decide to have their way with Su! Thwarted at the police station (yes we know every policeman is corrupt), the blind couple are kidnapped at the behest of the badboy’s politician brother for a period of 24 hours so that any medical evidence is lost and the two are eventually flung back into the sea so that any possibility of DNA is lost! Rohan goes into a sulk whereas Su, the victim makes dinner and tries to apologise for being soiled goods. In this case, lightning strikes twice and it is this twist that sets Rohan onto a path of vengeance. Armed with his talent of impersonating voices and little else, Rohan goes about exacting revenge as the film transforms itself from innocuous to utterly preposterous. Kaabil offers absolutely nothing new except Gupta’s vile exploitation of a ghastly genre that one hoped was dead and buried with the plethora of Dharmendra starrers in the 1980s. This melodramatic nonsense is an assault to the senses, not only in terms of structure but the offensive projection of its female character, weak and submissive, surrendering to the will and happiness of her perfectly coiffed male counterpart. She is a victim but only secondary to her husband, a man so engrossed in his own angst that the wife almost does not matter. It’s regressive in its depiction of women, not simply in its main lead character but the degradingly vulgar item number which is included solely for the lascivious. What Kaabil does is to expose the talentless charlatan that Gupta really is, a man who has made his name through plagiarism whether it was lifting from Korean cinema (“Old Boy”) for “Zinda”, Quentin Tarantino (“Reservoir Dogs”) for “Kaante” or Oliver Stone (“U Turn”) for Musafir. Not driven by a film to ape (although I believe this has some semblance to a Korean film…which comes as no surprise), Gupta simply adopts a heavy handed approach, expecting the audience to swallow the utter absurdity that unfolds before it. Hrithik Roshan is a consummate actor who simply tries too hard, not just on his vacant look or his flared nostrils but his gold streaked hair. It is a film the rests squarely on his shoulders and possibly, created as a vehicle only for him. The effort shows and frankly, although I have heard a cacophony of critics call out “his best performance yet”, I beg to disagree. Far from it, it’s a very mannered performance. Yami Gautam is insipid, uninspiring and uninteresting. The Roy brothers make no impression. Rajesh Roshan, a true innovator in his time has now resorted to reworking his own tunes. How the mighty have fallen. Truly ghastly. 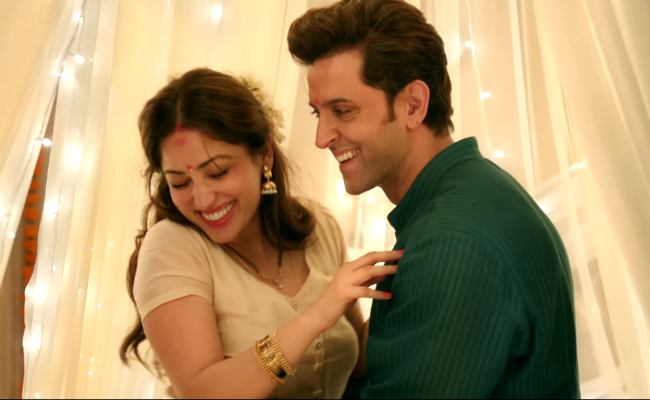 I watched Kaabil and loved it. We watch movies to escape the reality and to see the triumph of a ordinary man against a corrupt system. Also it’s not a good idea to always criticize a movie for lack of a perfect plot, screenplay etc. Any movie that can create bond with the characters and elicit emotions and sympathy from the audience is a winner at the end of the day… I would highly recommend this movie. Trust me you wouldn’t be disappointed.